George Washington Watts, industrialist and philanthropist, was born in Cumberland, Md., the son of Gerard S. and Annie Wolvington Watts. In 1858 the family moved from Cumberland to Baltimore, where George W. Watts attended the local public schools. He subsequently entered the University of Virginia, from which he was graduated in 1871 with a degree in civil engineering. For seven years thereafter he was associated with G. S. Watts and Company, his father's wholesale tobacco business in Baltimore. The turning point in Watts's career occurred in 1878, when his father purchased for him one-fifth interest in the small but promising tobacco manufacturing firm in Durham owned and operated by Washington Duke and his sons James B. (Buck), Benjamin N., and Brodie L. This event marked the beginning of a harmonious and exceedingly profitable business alliance between Watts and the Dukes, particularly James B. and Benjamin N., that endured until Watts's death forty-three years later. Robert F. Durden, biographer of the Duke family, characterized Watts as a "[q]uiet, sober, and hard-working" man who "possessed considerable business ability." Formally organized as a partnership in 1878, the year that Watts joined the firm, W. Duke, Sons and Company was reorganized as a joint-stock company in 1885 with James B. Duke as president, Ben Duke as vice-president, and George Watts as secretary-treasurer. When the firm merged with four other cigarette companies in 1890 to form the American Tobacco Company, a business combination organized somewhat along the lines of a conventional trust, James B. Duke became president of the new company and Watts and Ben Duke were members of the board of directors. By 1911, when it was dissolved by the U.S. Supreme Court in a celebrated antitrust suit, the American Tobacco Company had acquired a virtual monopoly on the domestic manufacture of tobacco products, except cigars. As they accumulated wealth over the years from their profitable tobacco business, George Watts and the Duke brothers sought other outlets for their capital. They invested particularly large sums, either jointly or independently of one another, in the rapidly developing North Carolina textile industry. By 1912 Watts, James B., and Ben Duke jointly controlled Erwin Mills, consisting of four plants, and four other mills located either in Durham or elsewhere in North Carolina. Meanwhile, as his business interests expanded, George Watts was elected to the governing boards of numerous corporations, among them the Seaboard Air Line, Southern Cotton Oil Company, Virginia-Carolina Chemical Company, and Republic Iron and Steel. When Watts settled there with his wife and young child in 1878, Durham was a small, essentially rural-oriented town that offered little in the way of community services. By the time of his death in 1921, it had become an important commercial and manufacturing center of the New South, providing many of the public services it once lacked. George Watts and the Duke family, by investing in local tobacco and textile manufacturing and by giving liberally to local schools, hospitals, and churches, contributed significantly to this transformation. Watts, unlike James B. and Ben Duke, was a permanent resident of Durham after 1878. A civic-minded individual, he devoted much of his time and money over the years to the betterment of his community. He served on the school board and as president of the YMCA and of the Commonwealth Club, the local booster organization. In 1885 Watts, Eugene Morehead, and Julian S. Carr organized the Durham Electric Lighting Company, which for fifteen years had the exclusive privilege of supplying electricity to the city. Durham thus became one of the first communities in North Carolina to enjoy electric lighting. 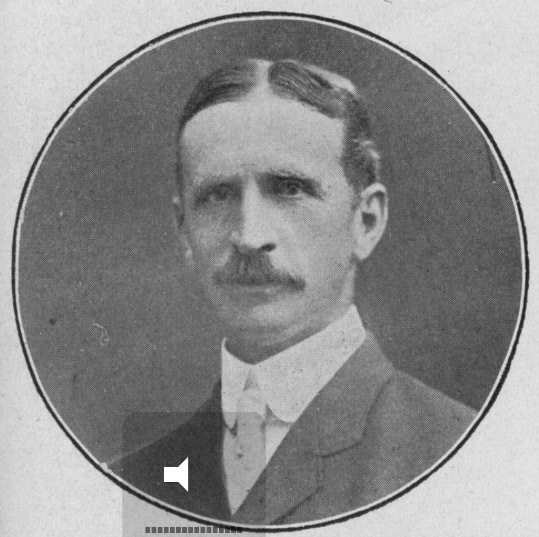 In 1904 Watts was instrumental in the founding of the Durham Loan and Trust Company and the Home Savings Bank, in both of which he, as well as James B. and Ben Duke, retained a financial interest. Perhaps his most notable contribution to the betterment of Durham was Watts Hospital, donated to the city in 1895 and at that time only one of six general hospitals in North Carolina. When it became apparent that the original Watts Hospital could no longer adequately serve the needs of the growing community, Watts in 1909 contributed large sums for the construction and maintenance of a new facility. During his remarkably successful business career George Watts amassed a modest fortune, part of which, in the manner of Andrew Carnegie, James B. Duke, and other truly wealthy business tycoons of the era, he disposed of in his own lifetime. Among the beneficiaries of his philanthropic activities were the First Presbyterian Church of Durham, the Durham YMCA, the Barium Springs Orphanage, and numerous colleges, including Davidson, Flora Macdonald, Agnes Scott, Lees-McRae Institute, and especially Union Theological Seminary, in Richmond, of which he was board president from 1904 until his death. Although confirmed in the Lutheran church in his youth, Watts, by all accounts a sincerely devout man, joined the Presbyterian church after moving to Durham. He served the First Presbyterian Church of Durham for many years as elder and as superintendent of the Sunday school class and contributed large amounts to the home and foreign mission activities of the church. On 19 Oct. 1875 he married Laura Valinda Beall of Cumberland, Md. Their only child, Annie Louise, was married in 1899 to John Sprunt Hill, a resident of New York City who later returned with his family to his native North Carolina and settled in Durham. Mrs. Watts died on 26 Apr. 1915, and two years later, on 25 Oct. 1917, George Watts married Sarah V. Ecker of Syracuse, N.Y. He died in Durham and was buried in Maplewood Cemetery. His executors placed the value of his estate at $11.4 million.